A few days ago, as my friends and I are traversing Airport Road, on the way to Bluewave, a differently-abled man knocked on my side windows, asking for alms. I say differently-abled, because I can't think of how to describe him. He has this unique incapacity, wherein his arms are dislocated, his left shoulder was lower that the other, and his body was extremely thin. All of these are evident, as he walked the streets with no shirt on. Must be so commuters will see his condition right off and have mercy. Now, that wasn't the first time that I saw him. I had seen him a few weeks before. I was in the same road, en route to MOA, alone inside the car. He did the same thing: knocked on my side window and begged. When I saw him, I immediately felt fear. I was afraid that, if I lowered my window, in the the intention of giving him alms, he might hurt me. This paranoia came from stories of officemates and friends who had experienced such incidents in their desire to help. The fact that I was alone in the car didn't help either. And so, I shrugged him off, and he left quickly, approaching the car right behind me. "Thank You, Father, for the chance to share in Your joy of generous giving. Make my heart like Yours." "He will always make you rich enough to be generous at all times, so that many will thank God for your gifts." After that incident, I was greatly troubled. I felt that I owed that man help and prayed that I be given a chance to make it up to him. And when my second chance came, I took it without hesitation. I gave him not a huge amount, but I think he may find that it was a welcome addition to what he gets everyday. I think this year's teaching for me is generosity. I have been constantly troubled with the term and its conditions. I have been confused with what is called generous and what is called stupid. I have often been at the middle of choosing between giving beyond fear and giving in to fear. I can never promise that I won't be afraid again, but I know now that there can be ways to be generous. What you give doesn't have to be big. It can be a few coins or a little food. It can even be something intangible like a smile, more patience, or time. 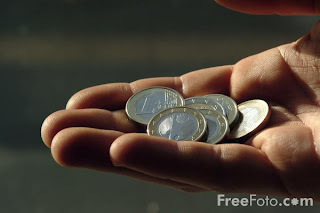 Moreso, generosity is not only given to beggars; it is shown to all who are in need. A friend may be in need of support; be generous with your encouragement and help. A family member may be in need of time; be geneous with your time. A parent of old age may be in need of understanding; be generous with your patience. Generosity has no price; it has no required amount. Share whatever you have. Don't hesitate. God has his own ways on reaching out to us. wow that's nice! Hope we can do something like that in the coming year.. I used to think that giving alms to beggars is a 'crime,' until I watched Kara David's I-Witness. The head of the charity said this: "di naman masama magbigay sa pulubi, di mo naman sila hinahayaan na di magsumikap sa buhay, un nga lang kahit anong laban ang gawin mo sa kalooban mo, di mo tlga kaya ung nakikita mo na may mga nagugutom." I really was moved by her statement. And a shift in paradigm occurred to me. Actually, it is a crime. There's a law on not giving alms to beggars in the streets: Presidential Decree No. 1563 (or the Anti-Mendicancy Law). The idea is we want get these kids/beggars out of the streets because of the danger they and motorists face. And if we want to help them, we can do so via DSWD or other government agencies.